Looking for a beautiful wine related gift? 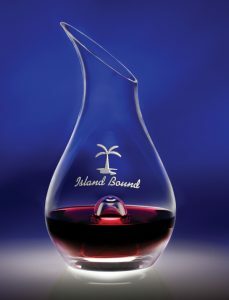 This European imported 46 oz wine decanter is beautiful exercise in form and function. Its refined shape is complimented by the presence of a punt within the base that allows for ease of pouring, faster aeration and isolating sediment. 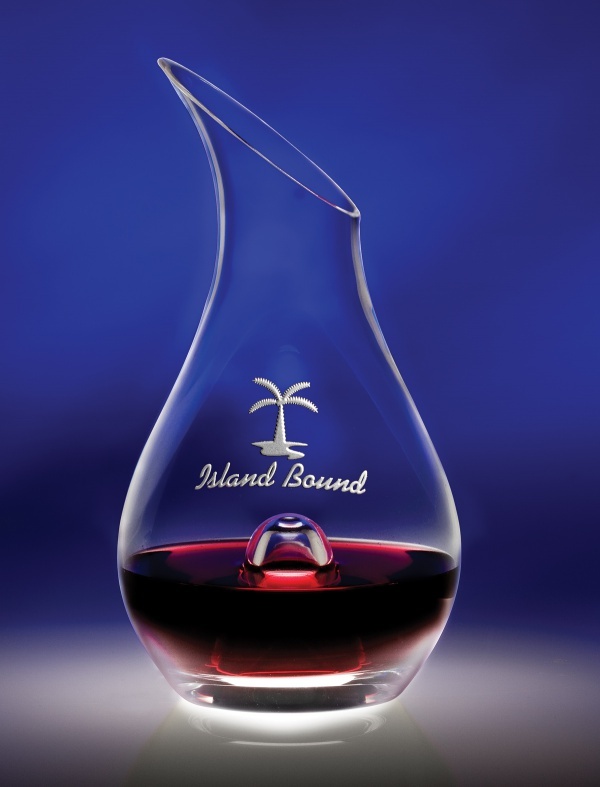 Made of machine blown, lead-free glass, this decanter can be deep etched with your logo, symbol or event date. Min is 1 piece at 67.00 ea, 6-24 pieces at 63.65 ea., 25 or more at 61.00 ea. No set up. Etching area is 2″ h x 3″ w. Item 8800.